Goldfish Swim School ' Malvern is a state-of-the art swimming facility dedicated to teaching children as early as 4 months how to swim. 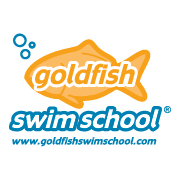 Goldfish Swim School ' Malvern is proud to help teach the children of great community of Malvern, PA how to swim and be safer in the water. We encourage you to stop by for a tour of our facilities. We guarantee you'll love it at Goldfish!